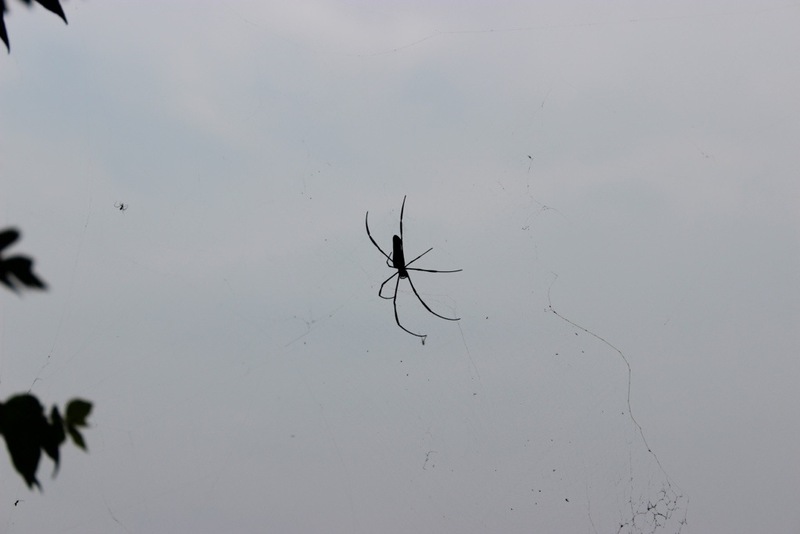 Laos is home to the biggest spiders in the world! This one is not one of the biggest, but it is still quite impressive. Some spiders have regular looking webs with heavy white stitching close to the center. It feels sticky and strong. The huntsman spider is the biggest by legspan. Unless you are a spelunker – don’t worry about coming across many because they prefer to live in caves. Grammy- you would FREAK! Love!